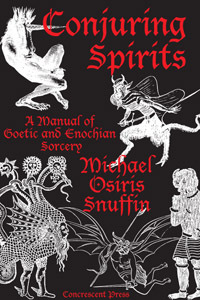 Author, editor, and sorceror Michael Osiris Snuffin studies and practices Chaos Magick, The Left-Hand Path, Post-OTO Thelema, and evocation. He founded The Temple of Light and Darkness, an independent neo-Golden Dawn temple, in 2003, and served as Chief Adept of the Temple from its inception until 2010. He has attained the P.I. degree of the Caliphate Ordo Templi Orientis, leaving in 2004 to pursue other magical interests. Osiris lives and plays by the oasis of Green Lake in Seattle, Washington. Sorcery, defined here as the art of conjuring spirits, is one of the traditional, core disciplines of magickal practice. While many of the old grimoires have baroque and elaborate procedures for conjuring spirits, this book cuts through the Gordian knot of complexity and obfuscation to present us with a much more direct approach to evoking Goetic and Enochian spirits. Conjuring Spirits is simple, clear, practical and without mystification. It is highly accessible and designed to enable practitioners to assemble the few tools required, prepare themselves, and begin work almost immediately reaping the practical and spiritual benefits of sorcerous practice. Conjuring Spirits pairs my previously self-published manual Practical Goetic Magick with a new manual on Enochian evocation titled The Watchtower System. Bound in hardcover. Conjuring Spirits is available from Concrescent Press and Amazon.com. The Thoth Companion explores the symbolism of the Thoth tarot through a comprehensive analysis of this mysterious deck. Using material from the Golden Dawn and Thelemic systems as the basis for analysis, this book shows how the symbols in each card define and shape the meaning of the card as a whole. 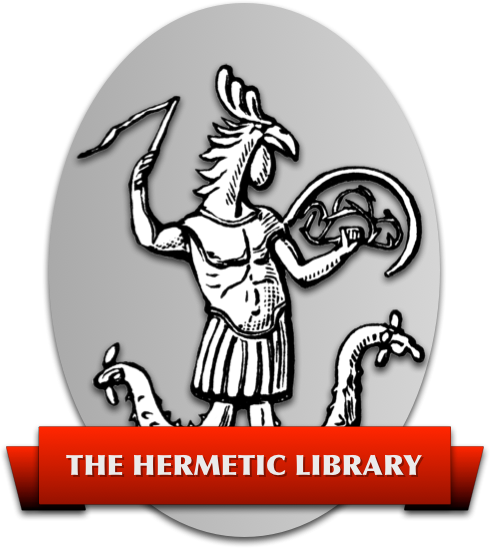 In addition, it reveals the complex correspondences and elusive secrets that Crowley encoded within the Thoth tarot. Chapter One of this book examines the trumps of the deck in great detail. Chapter Two decodes the complicated symbolic framework of the court cards presented in the Golden Dawn's “Book T” and adopted by Crowley in the Thoth tarot. Chapter Three analyzes the symbolism of the suit cards of the Thoth tarot. Chapter Four gives instructions for tarot divination and includes exercises to help you learn the meanings of the cards and develop your intuition. Tables of pertinent symbol sets and correspondences are included in an appendix. 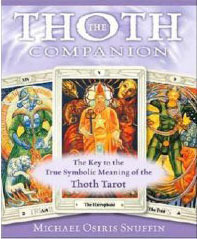 The Thoth Companion is available from Amazon.com.